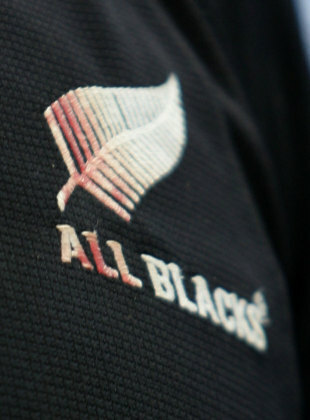 A former New Zealand Rugby Union (NZRU) official has accused two former All Blacks of taking steroids during the 1990s. Jack Ralston, who was the NZRU's head of sales and marketing between 1997 and 1999, has made the shocking allegation in his forthcoming biography, The Sports Insider, reports The Press newspaper. Ralston has not named the players, who he said had told him in confidence, but revealed that they were "smaller guys who needed to put on muscle and bulk who were under pressure". "People might be stunned by this but I know at least two All Blacks in the 1990s who responded to demands that they bulk up by taking steroids," he wrote. He added that the players may now feel they can speak publicly about taking the performance enhancing substances. The All Blacks' coach at the 1999 Rugby World Cup, John Hart, told the newspaper that he had "never heard" of players taking steroids in the 1990s. "I never saw it on my watch. It would surprise me greatly," Hart said. "It's very easy to make those comments. From my knowledge, [there was] none at all." Former captain Taine Randell echoed Hart's comments and slammed Ralston's decision not to name the players in question. "I know Jack," he said. "He is a good man. But for him to come out with those comments and not name names is gutless. He has cast aspersion on a lot of people and I can say that during my time with the team I saw none of that." Ralston has since defended his book and its claims. "I am saddened that Taine is upset and he would be the last person I would point the finger at as he was big," he said. "It was the smaller guys who needed to put on muscle and bulk who were under pressure and for rugby to think this did not go on is silly. They have their heads buried in the soil."